SunVital® is a beginning of DuoLife Kids Formula product line, dedicated to the youngest. The syrup contains natural plant substances and organic zinc. Red grapes are a source of vitamins B, E, K and carotene, and also contain valuable minerals such as copper, iron, calcium, magnesium, potassium and boron. They support resistance of the body and facilitate removal of toxins from the body. Blackberry contains a lot of vitamins including vitamins A, E, K, niacin, riboflavin or thiamine. 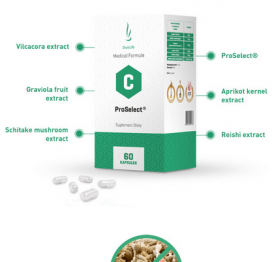 Due to high content of vitamin C and ellagic acid, they also help in supporting immune system. Blackberries are a good source of anthocyanins which demonstrate multidirectional biological activity, based on antioxidative qualities. Rosa canina has 30-40 times more vitamin C than citruses which are famous for this feature. Thanks to that, it supports immune system and strengthens the body. Moreover, Rosa canina contains many vitamins: A, B, E and K, as well as flavonoids which support functioning of the body. Honey aids the body if functions of immune system are weakened. Flavonoids in honey contribute to microbiologic balance in organs and tissues. Honey helps in increasing the body’s anti-oxidizing properties. Elder is rich in anthocyanins, which supports proper functioning of the immune system. 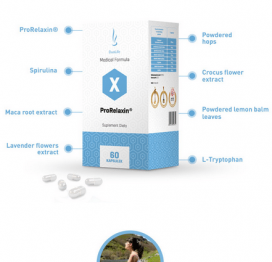 It is also an antioxidant, therefore it protects tissues against free radicals. Fruits of acerola are a source of bio-available, natural C vitamin, provitamin A, thiamine and riboflavin. Acerola is the main dietary source of antioxidants, which contribute to protection from free radicals; they support the body’s natural defence mechanisms against oxidative stress. 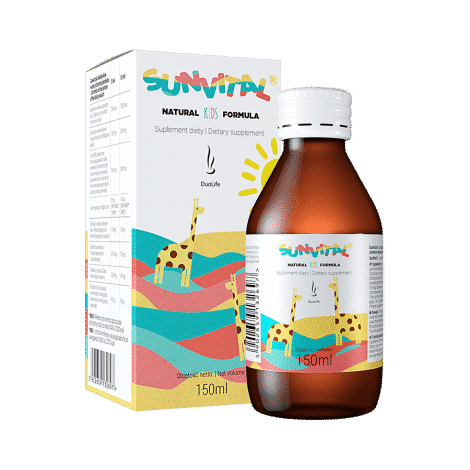 SunVital® (proprietary formula extracted from inactivated cells of yeast Saccharomyces cerevisiae/organic zinc) supports the body in proper functioning of the immune system. It helps in maintaining optimal acid-base equilibrium and proper cognitive functions. African geranium has a positive impact on functioning of the respiratory system in the period of high incidence of colds as well as upper and lower respiratory infections. 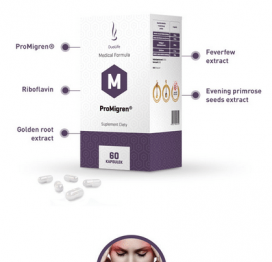 Standardized extract from the root of African geranium functions in multidirectional way, supporting the immune system. Pumpkin seeds are rich in polyenic acids, A, C, E, B2 and B6 vitamins. 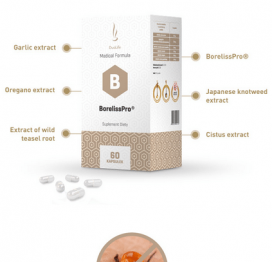 Two latter ones are particularly important here, along with vitamin A, which support the body in proper functioning of the mucosa and respiratory system. Garlic is a source of alliin, which is decomposed by labile product to allicin by means of alliinase enzyme. Garlic has a positive impact on respiratory system, enhances natural bacterial flora and improves blood supply of coronary vessels. Green chirayta is an herb that naturally occurs in India and Sri Lanka. All components of these plants are bitter, that is why it is locally called Maha-tikta, which basically means “King of bitters”. The main active compound is andrographolide, part of diterpene group; it supports functioning of the immune system. Immune system is a barrier that protects the body against germs such as bacteria, viruses and fungi. The process of shaping the immune system takes place during the first 12 years of child’s life. It means that until the time of complete maturity of the immune system, children are less resistant to pathogens. In order to reduce the risk of infection and support development of immune system, you should strengthen the child’s immunity.